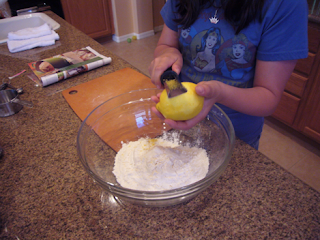 Cooking With The Kids: Sabrina's baking bread! 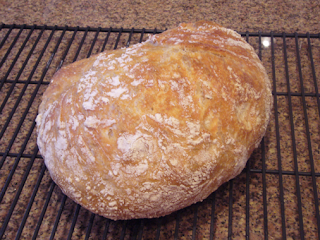 We found this amazing bread recipe in the current Williams Sonoma catalog. 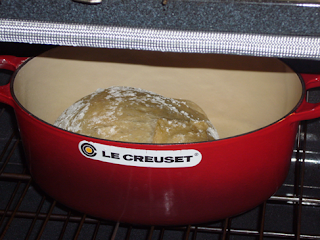 It's what they are calling "no-knead" bread - you mix the dough and leave it to rise for 12-18 hours. Sounds like something even a child could do! And thats exactly what I told Sabrina - and she couldn't wait to get going. 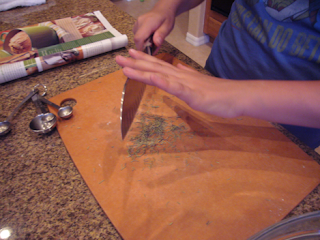 She gathered her ingredients, chopped her herbs, and had the dough ready in no time at all. 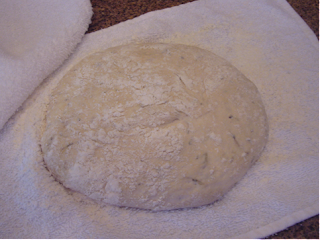 The dough, which calls for very little yeast, was full of lemon zest and rosemary. I can think of so many things to add to it, but we kept it simple this time. 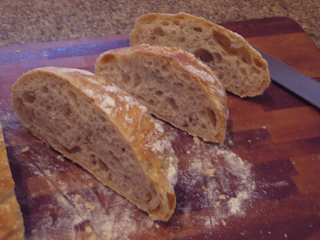 It's so different from any bread recipe you've ever tried. 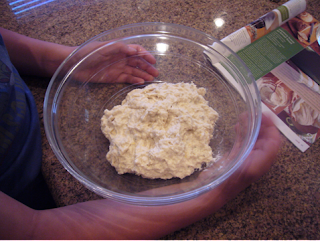 The dough is so soft and sticky, I kept thinking we should add more flour. Now since she was in school when the bread finished rising, all I had to do was smooth it into a ball, coat it with flour, and leave it for another 2 hours. Finally, it was time to bake. I preheated the oven, placed the dough into the pan, and set the timer. Checking the dough at the halfway mark. Wow, baked to perfection. The smell from the lemon zest and rosemary was intoxicating. I couldn't wait to show her when she got home from school. Now there's only one thing left - to eat it!